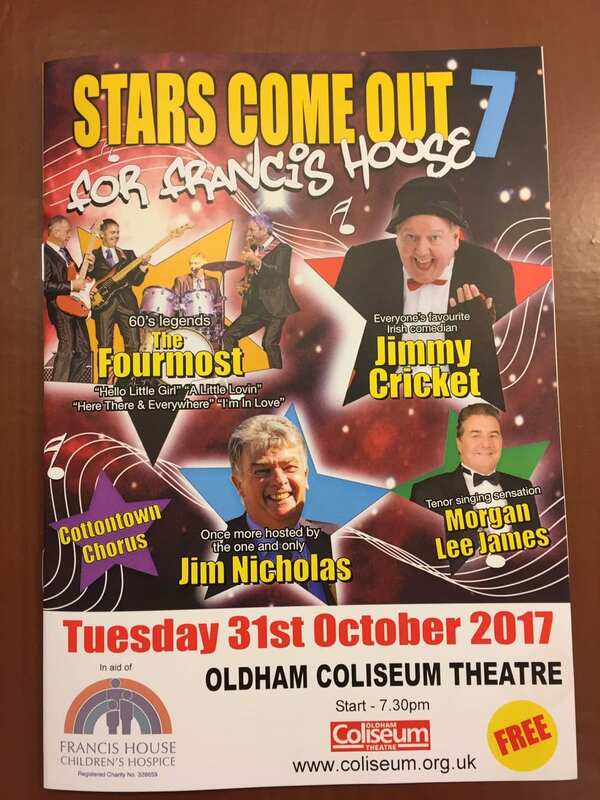 Maureen’s Tappers and an Elvis Presley impersonator were among the acts at Jimmy’s Cricket’s Christmas jam night in Rochdale. 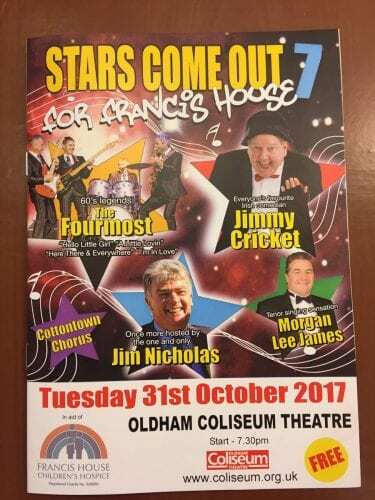 The event, hosted by the famous Northern Irish entertainer and his wife May Marion every couple of months, takes place in the lounge area of St Vincent’s RC parish centre in his home town of Rochdale. 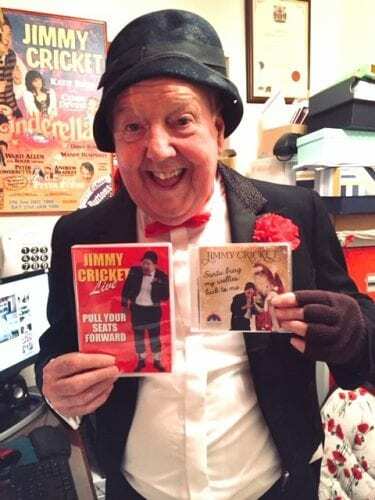 The famous entertainer has nicknamed those who regularly support these evenings as ‘Jimmy’s Jammers’. 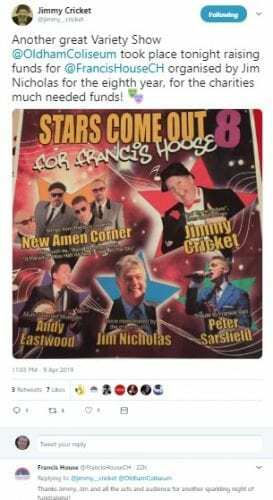 Francis House Children’s Hospice, which is based in Didsbury, was the beneficiary of the December jam night. 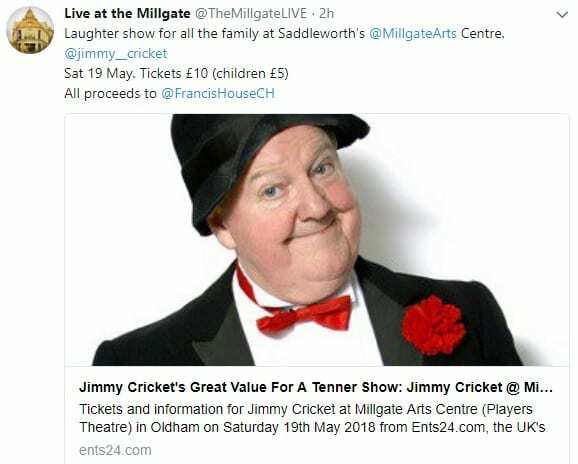 Here is a short letter from your favourite entertainer Jimmy Cricket introducing a new sequence of clips produced for the homepage of this website via his YouTube channel. 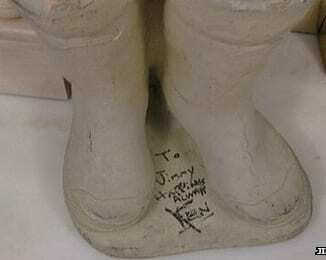 Thank you for coming on my website. If you are regular, a double thank you. 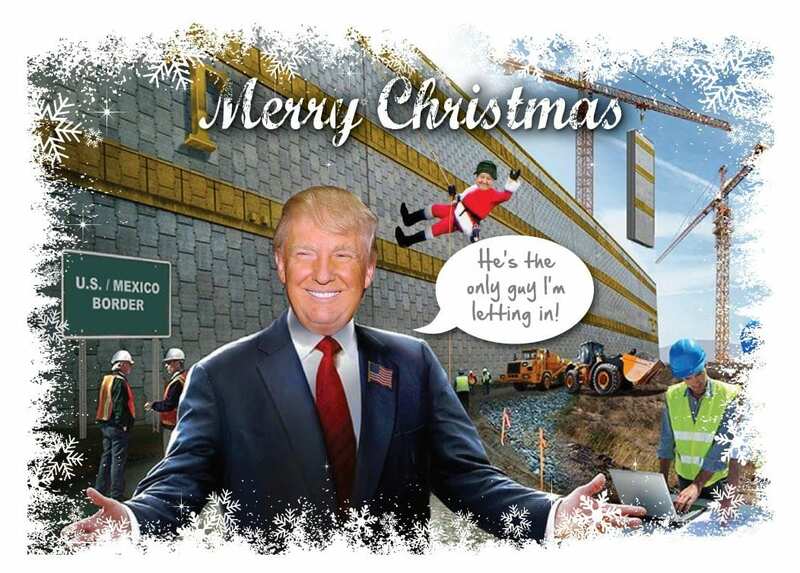 And if you are a newcomer, a warm welcome. I hope you enjoying browsing through and finding something of interest for you. 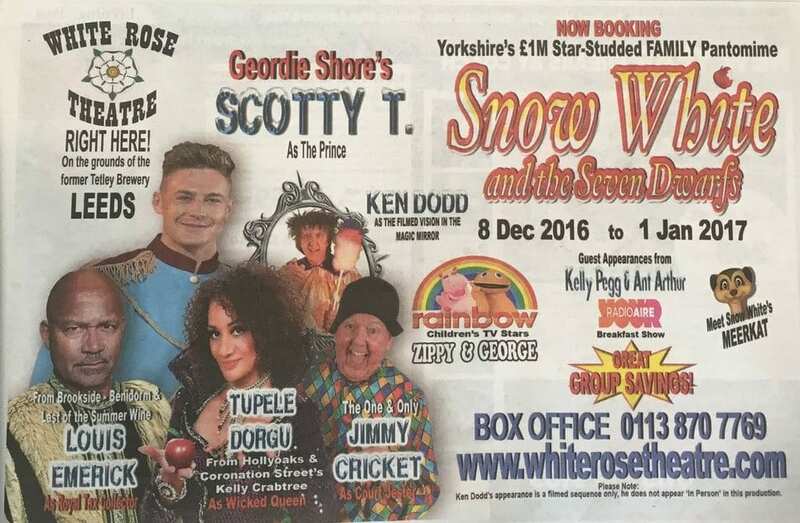 The newest thing I have is this… last year I came in contact with a young man called Dom Hyndman. 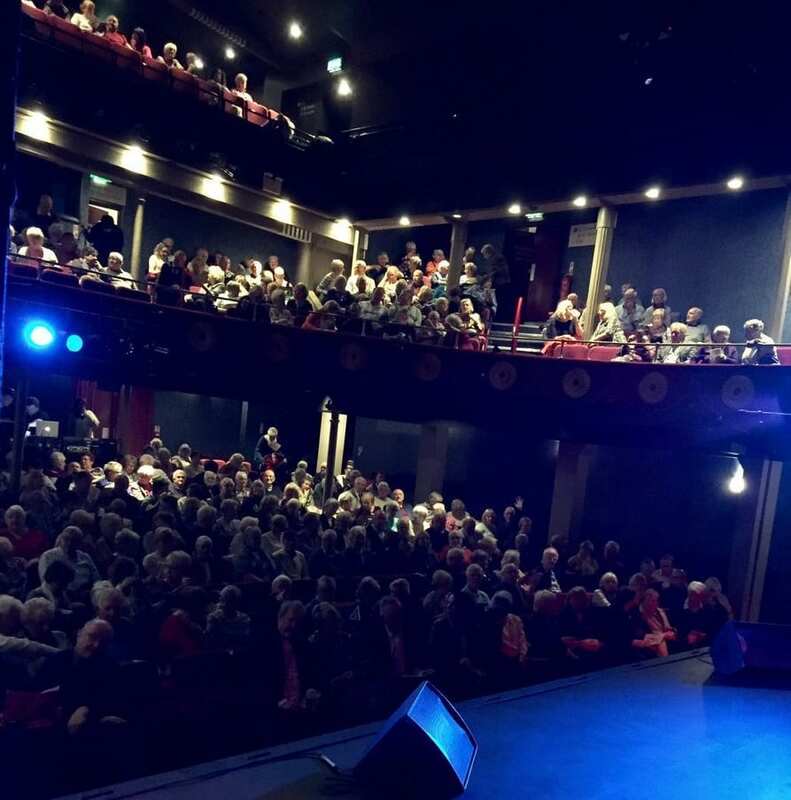 Dom organised a charity show to send some young people to Lourdes to help wheel-bound and disabled people get around a pilgrimage, and help with their healing and give them spiritual serenity. Dom is also a brilliant cameraman and works on all sorts of shows, from Coronation Street to the Antiques Roadshow. 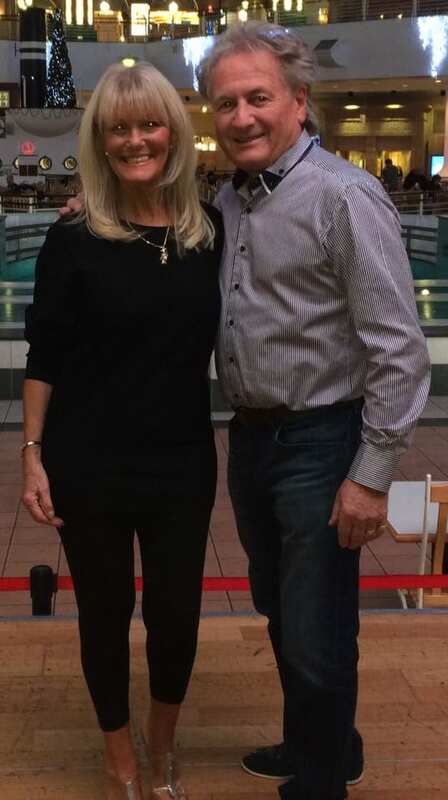 He put together a very good feature for my website called The story in pictures, which was all about how I made my breakthrough into television. 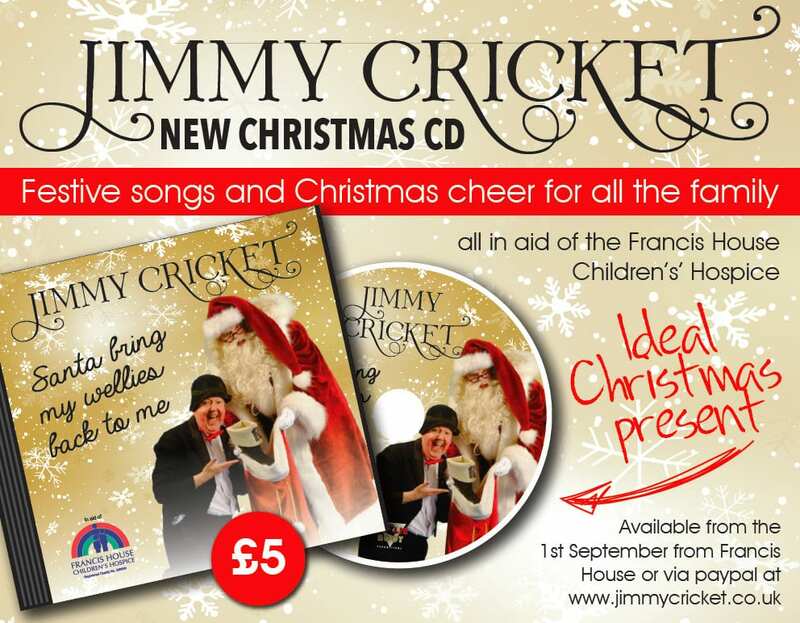 The next thing he did was last October when I released an album of Christmas songs for the children’s hospice Francis House; he came to the studio and did some nice footage for me. 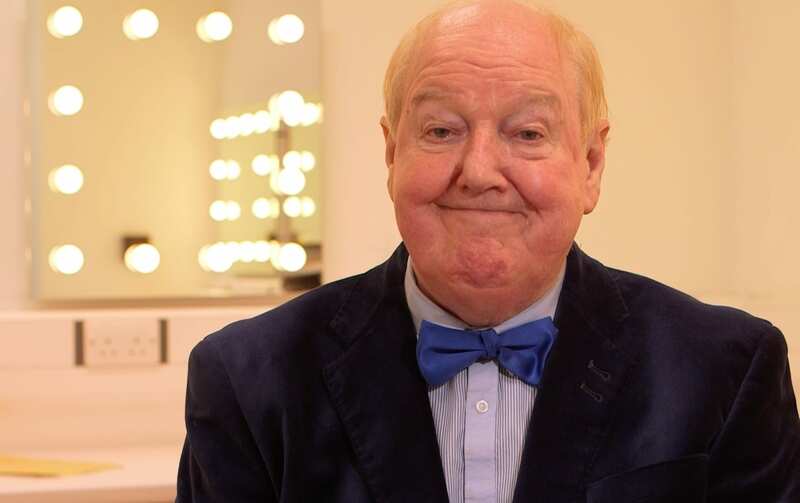 When we were thinking about the next project to work on, we decided to go for the four series that I’ve done on Central Television in the 1980s – take the first series and concentrate on the guest stars I had on the show. 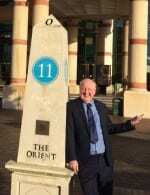 So for the next nine weeks we will have a guest artist – they range from Jim Bowen and Frank Carson to Dennis Taylor. I hope you find it interesting and if there’s anything else you think would make the website more interesting, please feel free to let us know. Jimmy Cricket’s promotion of his new charity Christmas CD continued with a recent visit to the prestigious Intu Trafford Centre on the outskirts of Manchester. 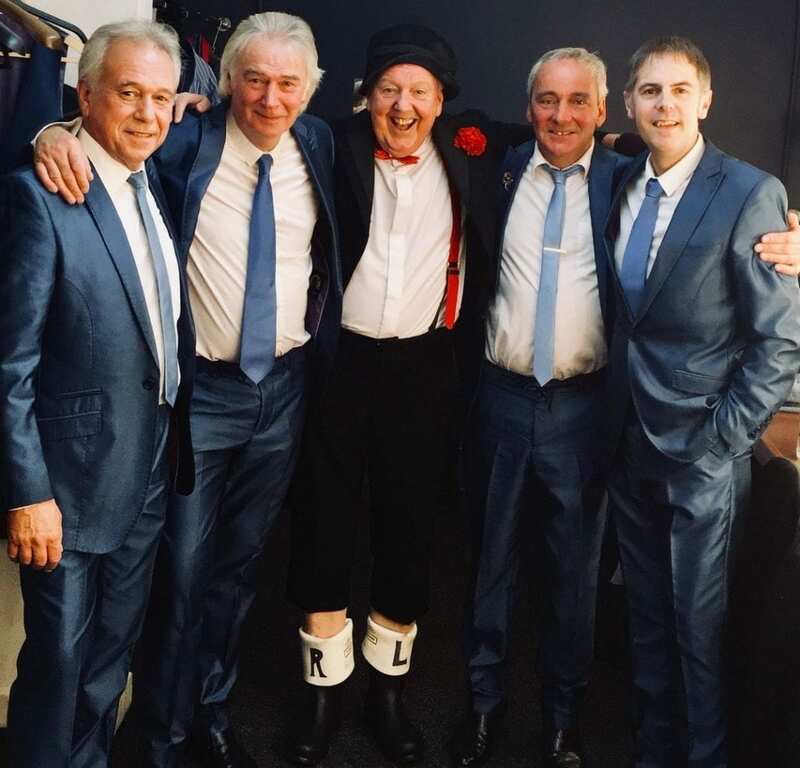 The popular 71-year-old comedian was invited to to perform some tracks from the CD, entitled Santa bring my wellies back to me, on the stage area of the Orient section of the mall. It was all arranged by the Trafford Centre’s Community Development manager, Charlotte Brown, who was a tremendous help in getting Jimmy’s visit off the ground. 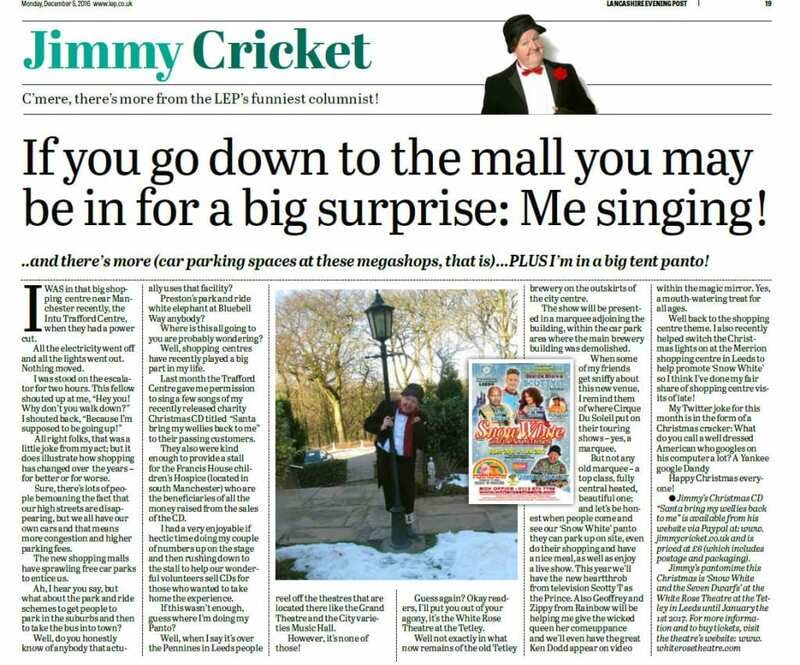 Accompanying Jimmy on the stage of the Trafford Centre were other singers who helped him record his Christmas CD earlier in the year. This included members of the St Patrick’s RC Primary School Choir from Jimmy’s hometown of Rochdale. 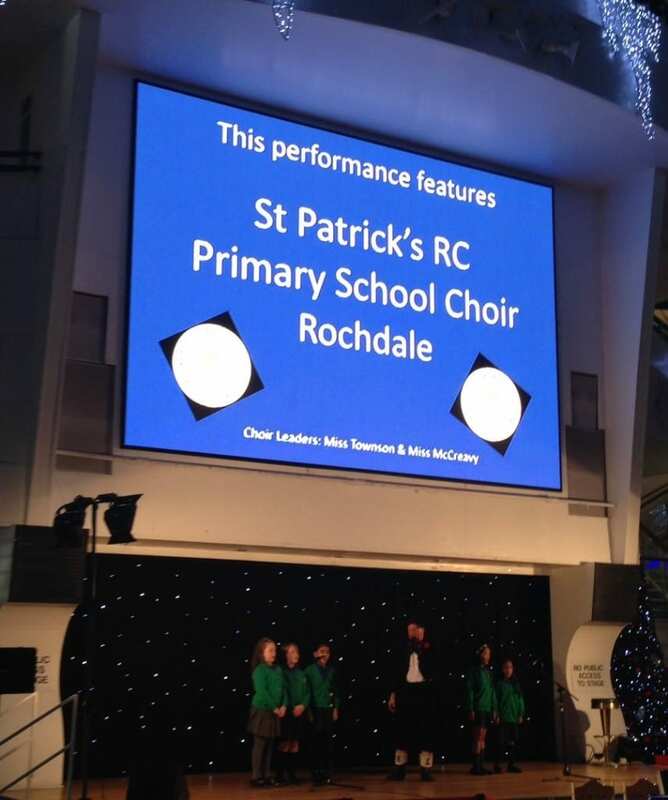 They were superbly supported by not only their choir leaders, but also their head of school and executive head, along with a large group of parents who came to cheer on their performance at the Trafford Centre. 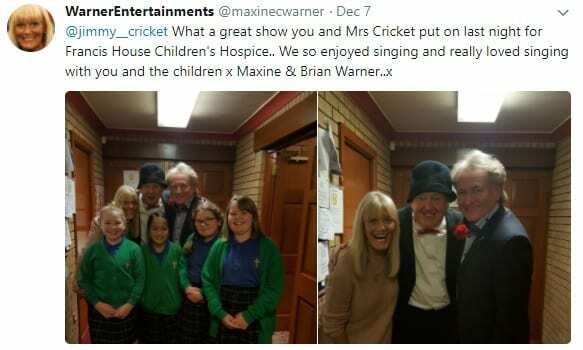 The cast was completed by Brian and Maxine Warner (above left) – who used to be the lead singers of one of the UK’s top corporate bands called Lemon Tree – and Jimmy’s wife, May Marion.